Troubleshooting KSQL – Part 1: Why Isn’t My KSQL Query Returning Data? 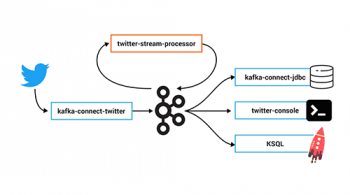 KSQL is the powerful SQL streaming engine for Apache Kafka®. 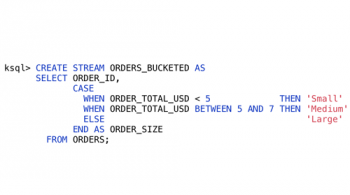 Using SQL statements, you can build powerful stream processing applications. In this article, we’ll see how to troubleshoot some of the common issues that people encounter with KSQL. More advanced topics such as digging deeper into the internals for more advanced troubleshooting will be covered by a subsequent article. You can use this article as a reference, or you can follow along with the code examples to try them out as we go. Using Docker and Docker Compose, we can easily provision an environment in which we explore and try out the different techniques and tools. The environment includes a data generator sending continuous stream of events into a Kafka topic that we will use for testing. You can find all the necessary code on GitHub. Why isn’t my KSQL query returning data? …nothing happens. And because KSQL queries are continuous, your KSQL session appears to “hang.” That’s because KSQL is continuing to wait for any new messages to show you. So if your run a KSQL SELECT and get no results back, what could be the reasons for that? Let’s look at each of these in turn and how to diagnose them. No data comes back—time to do some detective work. To exit from the running SELECT statement, press Ctrl-C.
First, we need to confirm which Kafka topic we’re using to drive the stream. We think we know (we just ran the CREATE STREAM, right? ), but as with any good troubleshooting approach the key is methodically working through the possibilities. The -o beginning argument tells kafkacat to go back to the beginning of the topic, and -C to read (consume) the messages. Reached end of topic shows that there’s no data to read. No data means that KSQL isn’t going to be showing anything in the output of a SELECT. So in this case, there’s no data in the source topic. Turns out we mistook the topic name, and used ratingz instead of ratings! D’oh! It turns out that there are thousands of messages in the topic. But, by default, KSQL reads from the end of a topic, and no new messages are being written in the topic. As soon as new messages are sent to the topic, the SELECT returns results. So here we just needed to feed the topic more data. What about if you want to look at data already in the topic? That’s what we’ll look at in the next section. Kafka is an immutable log of events, and data is persisted according to the retention settings. When an application reads data from a Kafka topic, the data remains in place, but the offset in the log at which that particular application has read up to is recorded. Another application can read the same data from the same topic with complete independence from the first. The main thing is that there is a log of data, and consuming applications choose the point on the log at which they want to start reading. When KSQL reads data from a topic, it will by default read from the latest offset—that is to say, only new messages arriving in the topic after the topic is registered in KSQL will be read. Now when you run a SELECT, KSQL will return the data from the beginning of the topic. 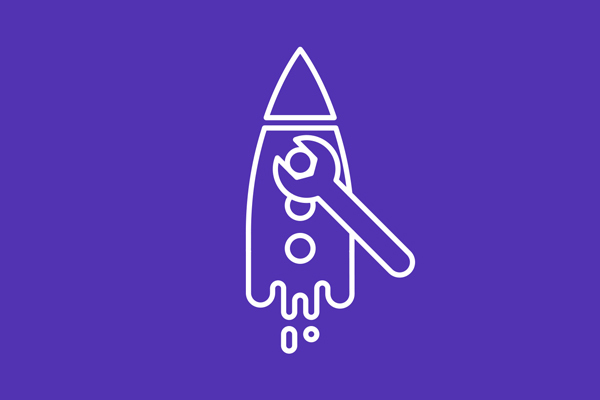 The SELECT will still run continuously, so if there is new data arriving, you’ll see that—and if there isn’t, the SELECT will just hang and wait for new data (or for you to cancel the query). If you want KSQL to read from the beginning of your topic, you must configure the offset from which it will read by runningSET 'auto.offset.reset'='earliest';. Since KSQL is based on SQL, you can restrict the data you want to return using predicates. These include WHERE and HAVING, as well as by implication JOIN. If your query is not returning data and you think it should, and you’ve followed the other advice in this article already, then take a standard troubleshooting course of methodically stripping back its components until it does. From just a sample of the data, it looks like the issue here could be that STARS is never greater than 5, and thus the SELECT in the example above will never return data. Data in Kafka is just bytes. It’s up to the producer how it serializes the source message; the consumer (which is KSQL here) needs to deserialize using the same method. Common serialization formats include Avro, JSON, etc. If KSQL cannot deserialize message data, it will not write anything to the SELECT results. If this happens, you could have checked the three situations above and ruled them out but still not have any data returned to your SELECT. Here’s a simple example using one of the existing internal topics called _confluent-metrics. Let’s register it using a fictional schema that we believe to be correct for the purposes of this example, and declare the serialization format of the message values to be JSON (Tip: It’s not JSON!). So … no results coming back. Let’s go through the checklist. We can check off the offset already, as we’ve specifically set that. What topic are we querying? Is there any data in it? (1)The -c 1 argument tells kafkacat to just return the one message and then exit. Per the checklist, there is data, we’re querying the correct topic and have set the offset back to the beginning … but why isn’t KSQL returning data? You can see from the stack trace that it’s using the JSON deserializer (as you’d expect, given our VALUE_FORMAT configuration). You can also see from the sample message ([Source: (byte)�����,� �) in the log output that the JsonParseException cites that the message clearly isn’t JSON. If you hit this problem, then you need to synchronize your serialization and deserialization formats. KSQL supports delimited (CSV), JSON or Avro. Protobuf users can check out KLIP-0, which proposes adding Protobuf support to KSQL. Our previous example referred to cases where no messages are being returned, but you may also see cases where only some of the messages are shown, and it could be the same root cause—serialization—but with a different slant. Instead of simply getting your serialization format wrong, maybe you chose the right serialization format, but some malformed messages exist on the topic. Note that the second message is invalid JSON, as it’s missing a " after the field name (col2). Note that we only get two messages even though there are three on the topic. Note the partition and offset shown in the error message (partition= offset=). This shows us, if we were in any doubt, that the message value is not valid JSON and thus can’t be consumed by KSQL. If KSQL is not showing all of your messages, then check that they are in a valid format for the declared serialization. So if you’ve set VALUE_FORMAT='JSON', then check that each message is indeed valid JSON. If you’ve installed Confluent Platform using RPM/DEB, then you should find the logs under /var/log/confluent/. Troubleshooting KSQL – Part 2: What’s happening under the covers? dives into KSQL internals, and looks at tools we can use for monitoring and examining the behavior of running queries and KSQL itself. Robin Moffatt April 3, 2019 . Robin Moffatt March 13, 2019 . Just Curious to know does KSQL have capability to connect other popular viz tools instead of offloading data to Elastic Search or Hadoop or Redshift etc. Using Kafka Connect you can stream data that’s been transformed by KSQL to any numbers of data stores, including Elasticsearch. This post describes how.